Now that Article 50 has been triggered we are on a two year timetable towards our independence from the European Union. That is actually, probably, a bit dramatic, but one thing is certain and that is that many EU citizens in the workforce are very worried about their future in the UK. 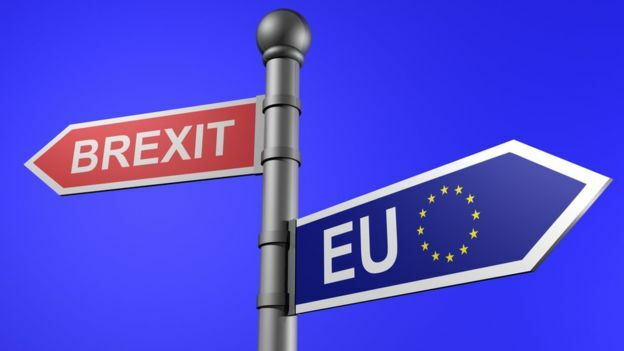 You may be surprised to hear that we have already had to help clients with instances of inappropriate racist comments and actions, as the Brexit vote seemed to unleash a wave of pent up nationalism in some quarters. Now is the time to start thinking about Brexit and your workforce. So this is an uncertain time for EU citizens working in the UK, but further than that I have friends that are married to EU nationals who are intending to leave the UK and take their families to an EU country in order to maintain their EU status. With all this going on it is clear to see why some people in your workplace may be worried about their future, so may even be considering leaving before the two years are up. As employers we need to reassure the team that it is business as usual and that they are very welcome, lets face it you wouldn’t have employed them in the first place if you didn’t need them. Some EU employees may want to consider applying for naturalisation and becoming British Citizens, this is possible after 6 years in the country, 5 years at work and 1 year as a permanent resident. If your staff ask about becoming a permanent resident or becoming a citizen the team at Premier Legal will be able to provide initial advice on most applications. Other than reassuring your EU workers that they are still welcome and valued there is not too much else that can be done until we know more about what arrangements will be in place after the final exit from the EU. No doubt we will get more and more information as time and negotiations move on, it is however, fairly certain that there will be restrictions on employing EU staff in a couple of years time and you may want to consider your long term staffing strategy. What those restrictions look like is yet to be seen, but we all know the difficulties and expense involved in Tier 2 applications, which presumably would be the worst case scenario. Paul Drechsler, President of the CBI has said that the rights of EU nationals already living here is the number one priority for members of their lobby group. Theresa May, last week, promised an “early agreement” on the rights of migrants, but the government has so far resisted calls from business groups to guarantee that they can stay after Brexit. There are signs that migrants are already leaving. A study by the Resolution Foundation found that a 50,000 decrease in the EU workforce in Britain is largely due to the departure of the more highly educated migrants. The Bank of England has also suggested that some EU nationals had left because of the weaker pound and its effect on the amount of earnings they can send home. Whatever problem faces you as an employer, whether it is racism in the workplace or the need to build a succession strategy you can call the experts at Premier Legal on: 0845 070 0505 or at our Nottingham Head Office on: 0115 988 6211, where someone will be happy to help.